Getting ready for a teacher training - where I'm going to walk them through a Sunday School lesson - I decided toss in a "how to modify" the activity example. The lesson calls for using pieces from nature to explain about creation. Ok, let's face it - after multiple days of 100 degree weather, our nature examples are a wee bit, well, dry. So I wanted to show them how you can keep the spirit of the lesson - talking about creation - using an artistic style (the focus of the other idea) while trying something different. So I decided to make Kool-Aid Playdough. I first made this recipe in the latter-1990s, while working as a "girl friday" volunteer at Nicholasville UMC. It was a youth group favorite (I'm not sure why we made it - probably a gal small group activity) - and we even included it into the church's 200th anniversary cookbook, sponsored by the church. I knew the kool-aid part of dough would engage the user's 'smell" sense, while the "dough" would let them "create something." 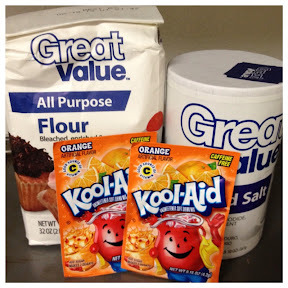 Since I couldn't remember the recipe - and I was standing in a store when I thought of this idea - I googled the words "Kool-Aid playdough." 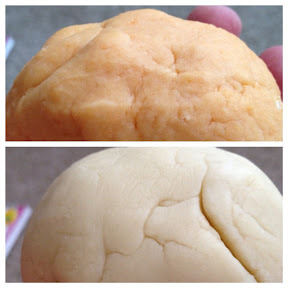 So I made two batches - the orange (top photo) is the original recipe, while the pale yellow (bottom photo) was made with Cream of Tarter. Anyway, the dough is made with five easy ingredients. 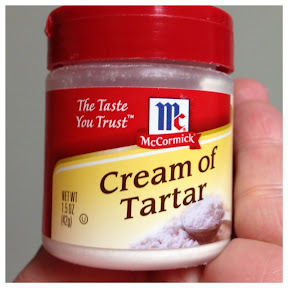 And the optional sixth ingredient - Cream of Tartar. The one with the Cream of Tarter blended into a smoother consistency. 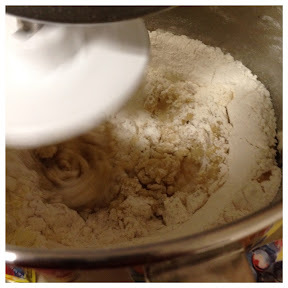 Both blended well - using boiling water makes the salt dissolve (unlike regular salt/flour dough). Additionally, in my original recipe notes, I said the dough doesn't hold its color as it dries - and that it doesn't dry well. Obviously, from the picture above, Lemonade Kool-Aid doesn't "pop" with yellow color. It also doesn't have a strong scent - if I remember right, Grape and Cherry made amazing dough, but since I couldn't remember if the color 'bled" onto the user's hands, I decided to stick with non "red dye" colors. 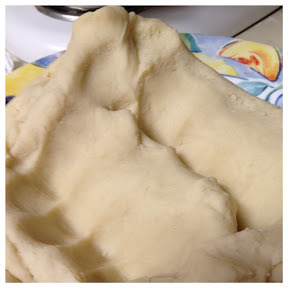 Anyway, I also "kneaded" it with my Kitchen-Aid using the dough hook - WOW that was amazingly easier than I remembered, because it lets you mix it up while hot, without burning your hands. 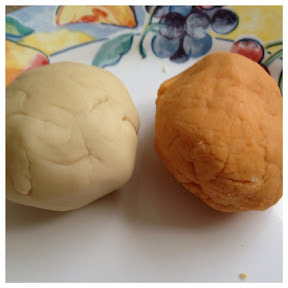 In all, both batches made 10, 1/3 cup balls of play-dough. I divided it into ziplock bags, so it would be easy to pass out during the lesson. Next time, I might double the amount of Kool-Aid, to see if it increases the color and the smell factors. 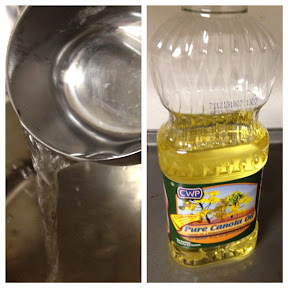 FYI: I stuck with a veggie-based oil, just in case a nut-based oil might give someone an allergic reaction. Boil the water. In a bowl, combine the dry ingredients.